Dr. Wenzhi Li received his bachelor degree in physics from Shandong University in China in 1986, master degree in Physics from Beijing Normal University in 1991, and Ph.D. in Physics from the Institute of Physics, Chinese Academy of Sciences in 1997. Right after he received his Ph.D., he was awarded the Royal Society (London) KC Wong Research Fellowship and studied the superconductivity of fullerene (carbon 60) doped with alkali metals and alkaline earth metals in the Department of Chemistry at Sussex University in England in 1998. Then, he accepted a senior research scientist position in the Physics Department at Boston College to study the physical properties and application of carbon nanotubes and related composites from 1999 to 2003. 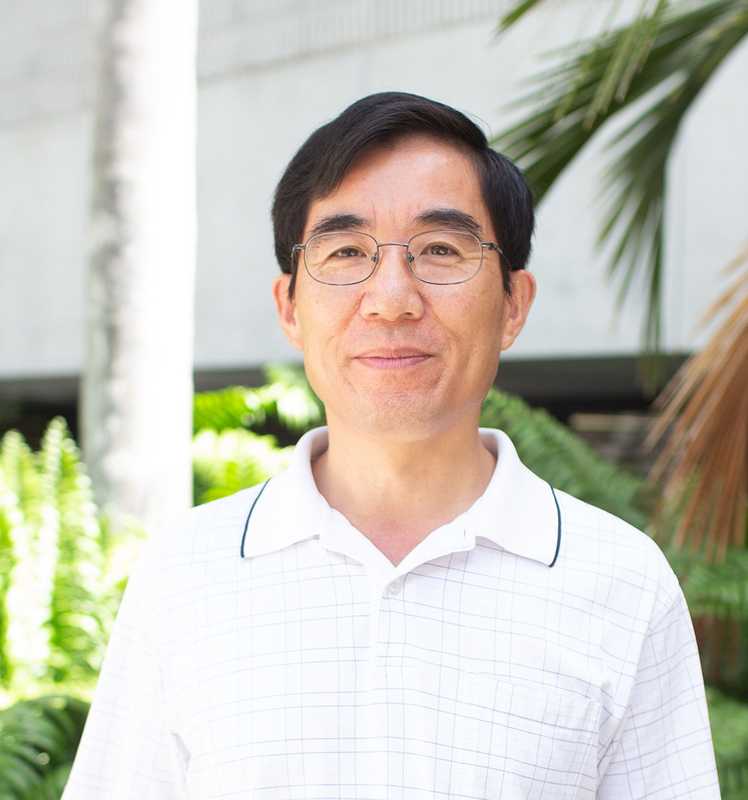 Dr. Li joined the faculty in the Physics Department at Florida International University as an Assistant Professor in 2003 and was tenured and promoted to an associate professor in 2009 and a full professor in 2015. Synthesis and characterization of low dimensional materials including thin films, nanowires, nanotubes, and nanoparticles. Study of electrochemical, electronic, and optical properties of low dimensional materials. Applications of nanomaterials for energy storage or conversion. Application of nanoscience to biology and medicine. Integration of MEMS technology, fabrication of nanoelectrodes and nanoelectronic devices. FIU Excellence Research Award, 2010. FIU Excellence In Faculty Scholarship, 2008. Chemical Physics Letters, Most Cited Paper 2003 - 2007 Award, Physical and Theoretical Chemistry, Elsevier, 2008. ISI Citation Classic Award, ISI Asia-Pacific Division, September, 2000. Second Prize Award for National Natural Science, “Studies on Fabrication, Structure and Properties of Aligned Carbon Nanotubes”, the State Council of China, 2003. First Prize Award for Natural Science of Chinese Academy of Sciences, 2001. First Place Award for citation of a paper, Science and Technology Index Center, China, 2000. The National 100 Excellent Doctoral Dissertation Award, China 1999. Royal Society-KC Wong Research Fellowship, United Kingdom, 1997 - 1998. First Place Award for citation of a paper, Science and Technology Index Center, China, 1999. Fourth Place Award for citation of a paper, Science and Technology Index Center, China, 1998. The special prize of the president of the Chinese Academy of Sciences, China, 1997.